being little • bristol uk fashion & lifestyle blog. 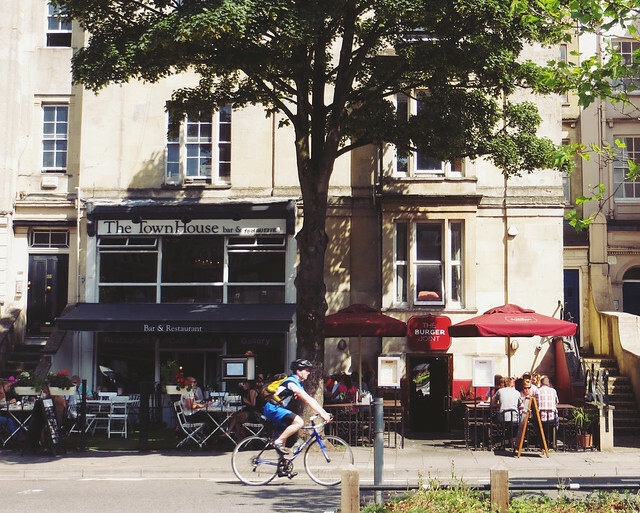 : bristol's best bits. 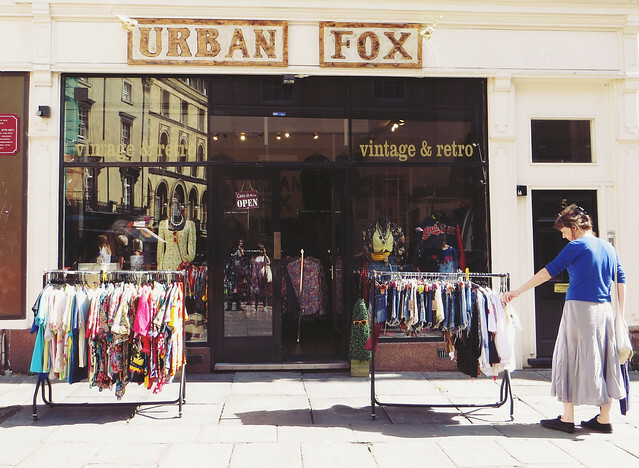 I love sharing awesome little places that I find in beautiful Bristol, and today I'm lucky enough to be teaming up with BANK Fashion to show you the best places in my colourful city. First up, I thought I'd share my favourite places local to me. 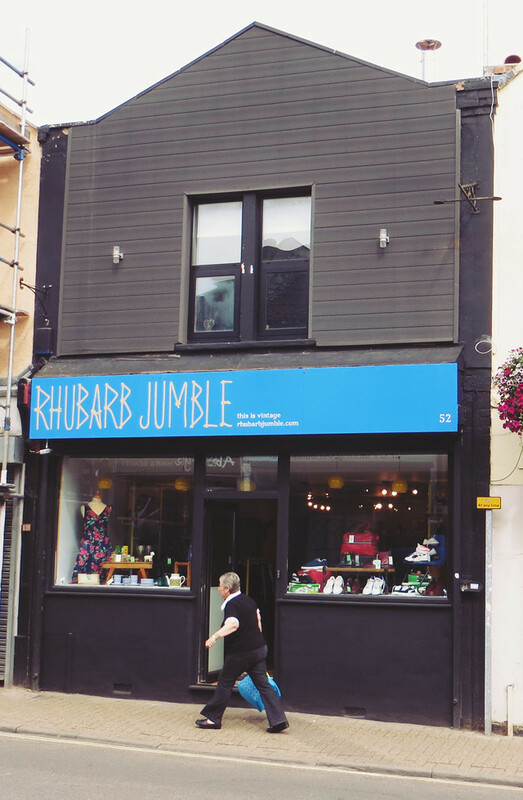 North Street is definitely up-and-coming - there are always new and interesting businesses sprouting up on the once deserted road. There used to be a good end and a bad end, but now wonderful shops & cafes are making use of the entire stretch. There are lots of great cafes, restaurants and bars - The Old Bookshop (below) has amazing decor, The Hare has the best range of beers, The Burger Joint does the yummiest burgers ever - fact! 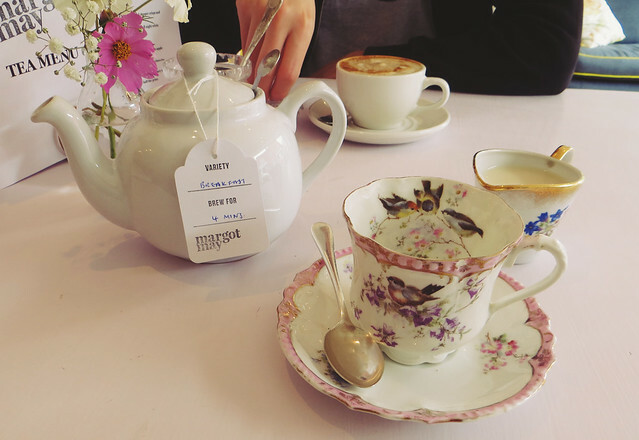 , Margot May (below) for an usual cup of tea and scrummy cake, and Hennesseys, to name a few! 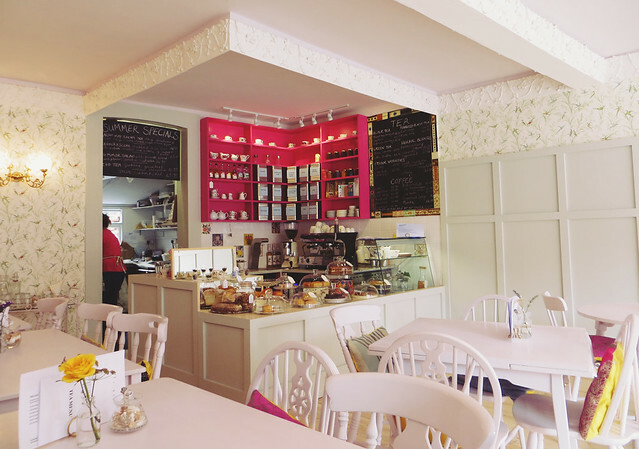 All offer lovely food along with a relaxed atmosphere, and many boast using local produce. 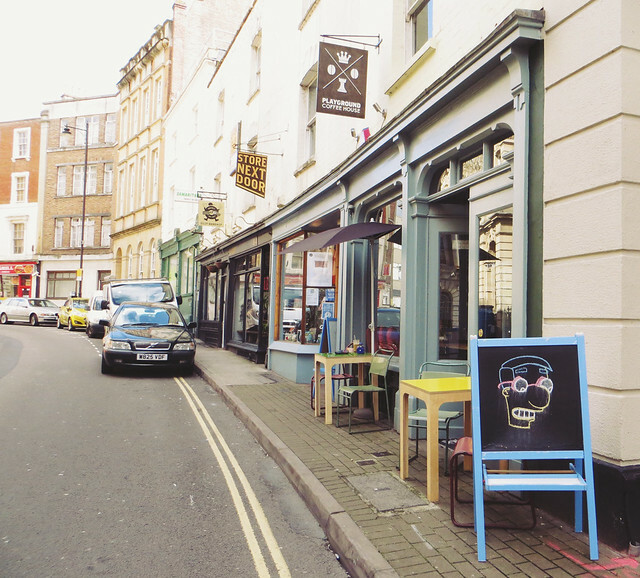 There's also a lovely green grocer, Mark's Bread, a gorgeous craft shop, lots of charity shops & useful shops.. it's a bit out of the city centre, but North Street is definitely becoming a destination in itself. 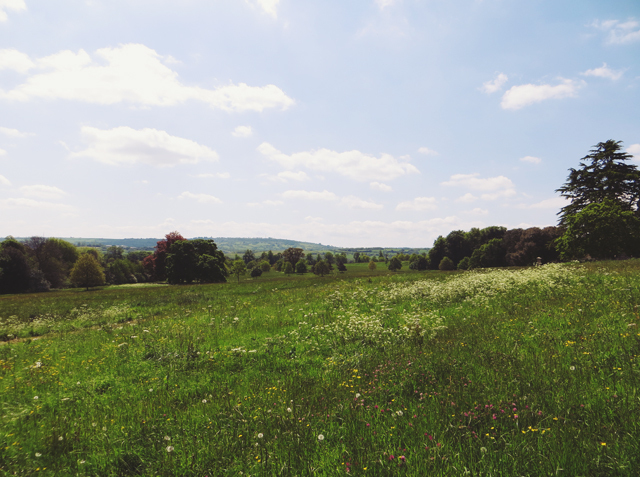 A short walk from North Street, you can find the beautiful wide open green expanse that is Ashton Court Estate. The best place for picnicking, or just getting away from the bustle of the city. Leigh Woods (below) is nearby too, which is so fun to explore. 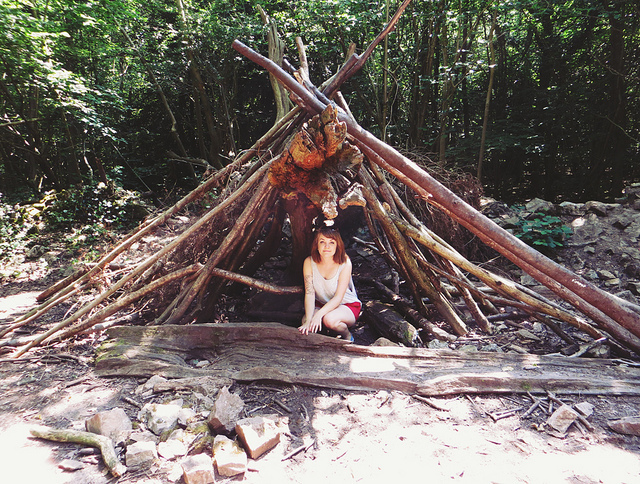 You can see more photos from our walk through the woods here. You can end up by the suspension bridge, which is a must on a beautiful day - you can see so far! On the other side of the bridge is beautiful Clifton - the wealthiest part of the city. 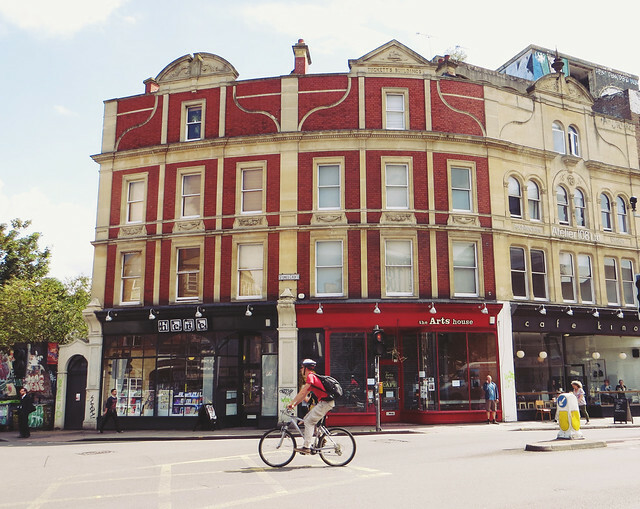 Gorgeous town houses, antique shops and up market cafes line these streets. 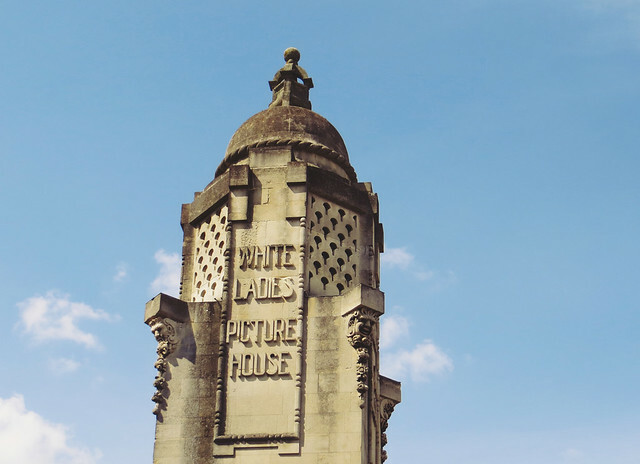 Whiteladies Road is known as a destination for eating & drinking. 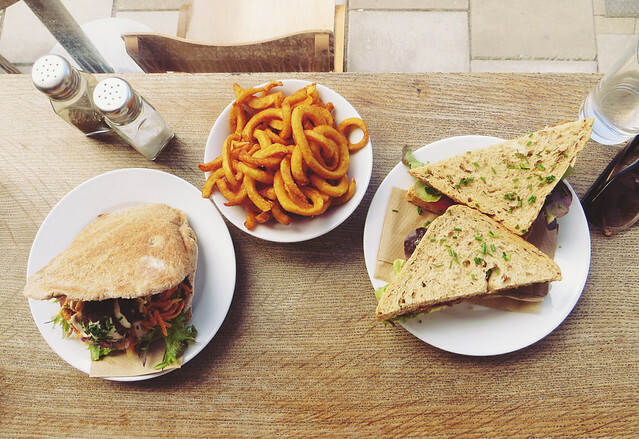 Well known restaurants and local gems can be found here, and so much more! 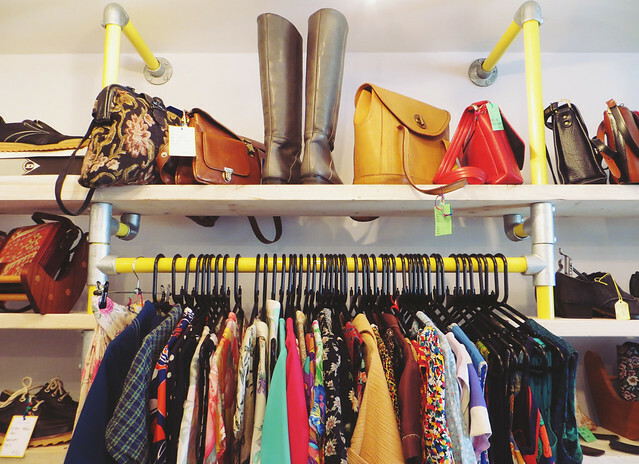 Just behind Whiteladies is Cotham Hill, which has a good few charity shops, some of which specialise in vintage. 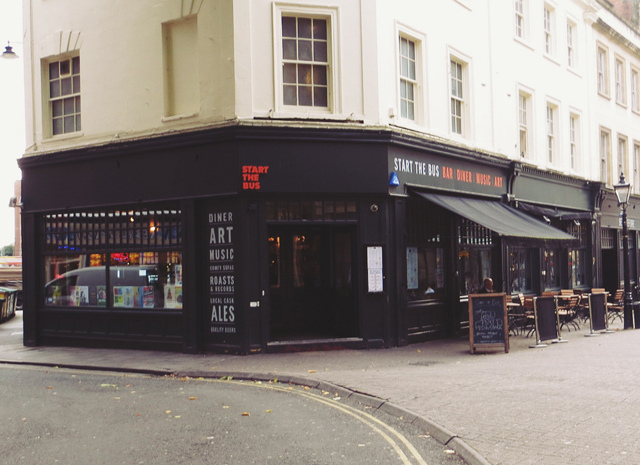 Past The Triangle - also great for eating and drinking, or shopping for records & geekery - you'll find Park Street. This photo doesn't do it justice - it's really steep and full of nice shops. 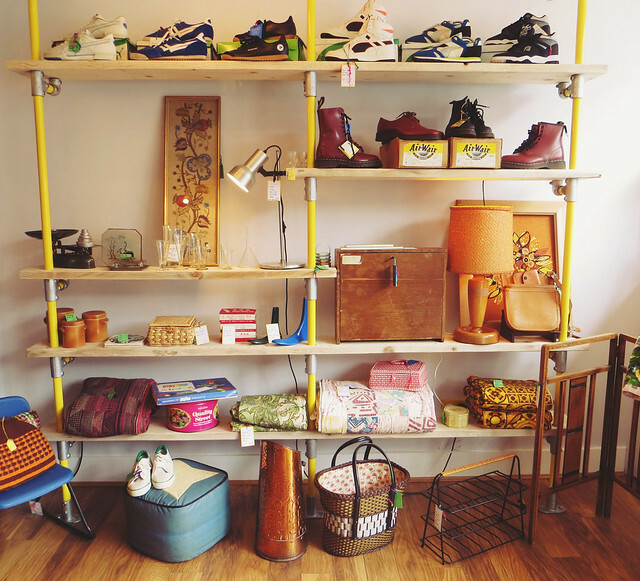 It's pretty much the vintage shopping destination in the city centre. There's also a great bookshop where all the books are about £2. I know a certain little lady who is a fan. 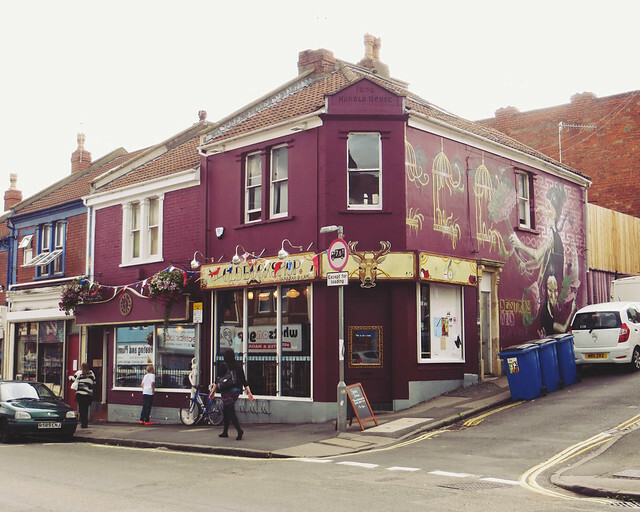 At the bottom of Park Street, on the harbour side, there are lots more restaurants and cafes (we're quite a fan of food here...) but there's also Watershed - inside there's a restaurant, cinema and big rooms for talks and conferences. We've seen a few amazing films here, and I attended a talk by the Vagenda ladies with SJ once too. So great. Across the fountains, there are two of my favourite cafe's, which I've mentioned on Being Little numerous times - Start the Bus (above) and The Birdcage (below) I won't prattle on about them too much, but check them out if you're ever in the city centre needing an eat or drink. If you're around in the evening and fancy a cocktail, try to hunt down The Milk Thistle. You won't be disappointed. A little further up Corn Street there's the newly opened Cosy Club, which is beautiful, and down a road on the right there are these 3 cool places - Bagel Boy, Store Next Door, and Playground Coffee House. They're all worth checking out! At the top of Corn Street is St Nick's market, which is awesome for a street food style lunch. 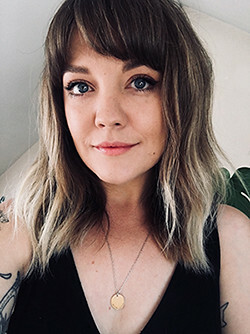 There's so much choice, and I wrote a little about it here. 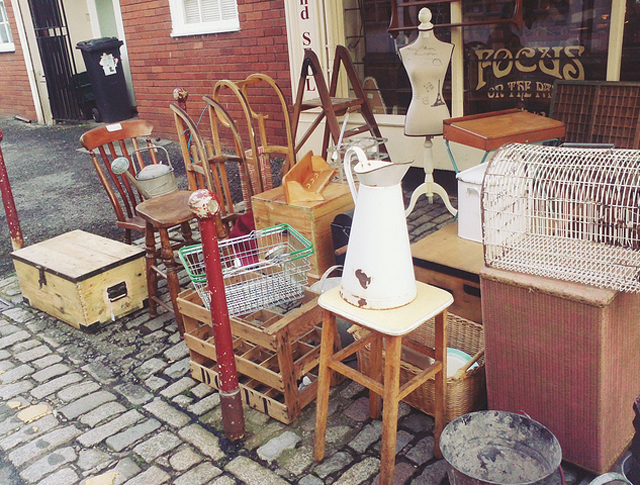 There's also this cute vintage shop, which you might've seen on the tellybox recently! 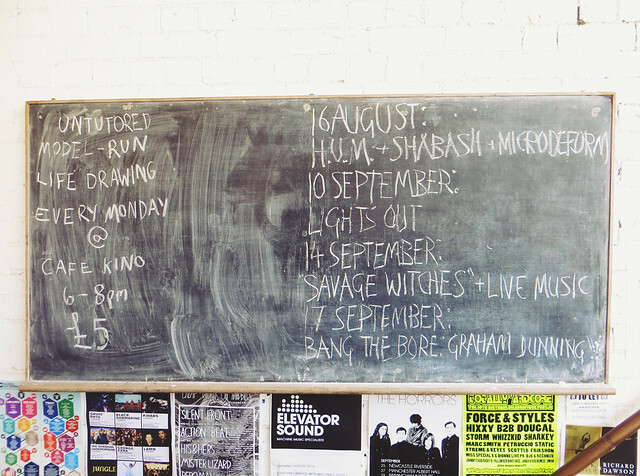 Aahhh Stokes Croft. 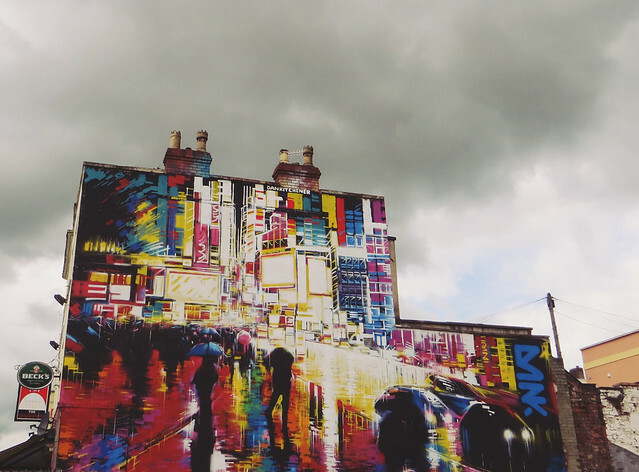 So much colour and graffiti! 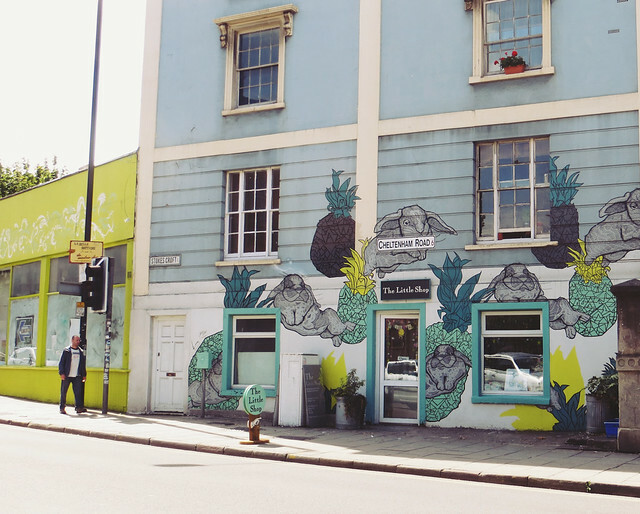 There are a great array of arty shops up Cheltenham & Gloucester roads - all stocking local artists' work, as well as loads of other awesome stuff. There are also - you guessed it - loads of cafes. 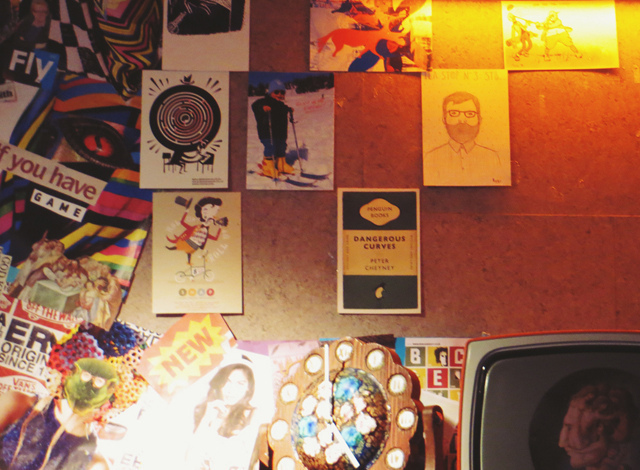 My favourite is Cafe Kino (below) which sells all vegetarian & vegan food, as well as hosting life drawing, exhibitions and live music. 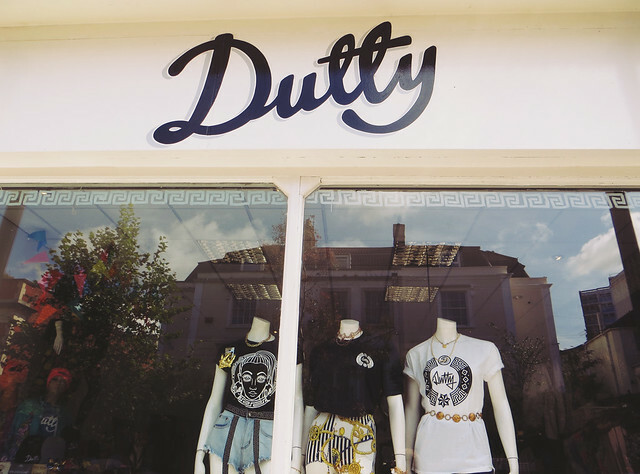 A little further up you'll find Dutty, which has an amazing basement full of vintage goodness - I bought a few headscarves last time I was there! 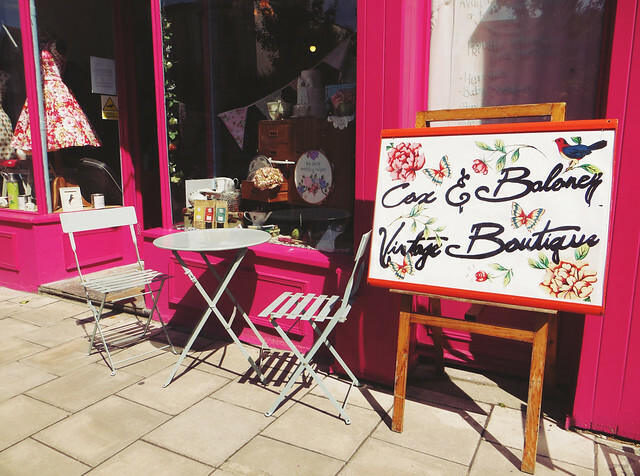 - and Cox & Baloney, which is a vintage shop on one side, and a tea room on the other... that's basically my ultimate dream. 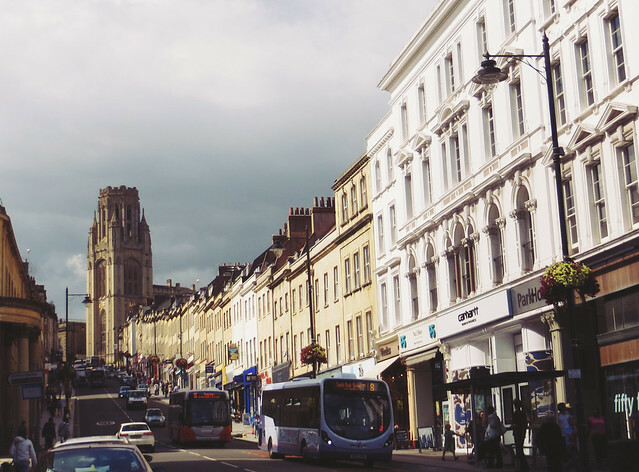 What are your favourite places in Bristol? This post has made me very, very, very excited about moving back up to Bath in a couple of weeks!! 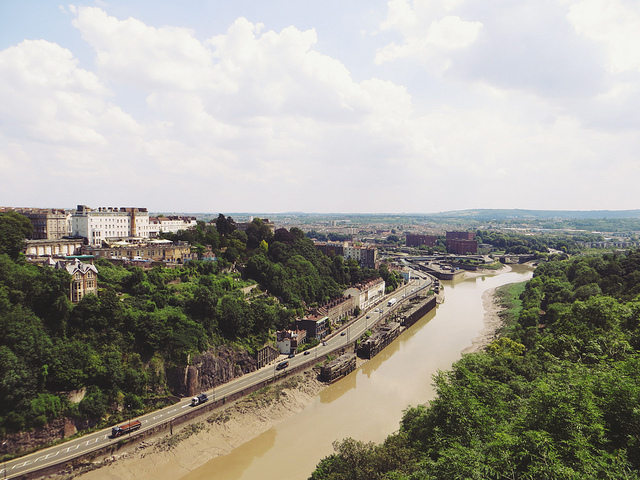 I've never actually been to Bristol before (though we drove through it to get to the Balloon Fiesta last weekend). I think a trip is definitely needed to explore some of these amazing looking places! Wow! Great photos! 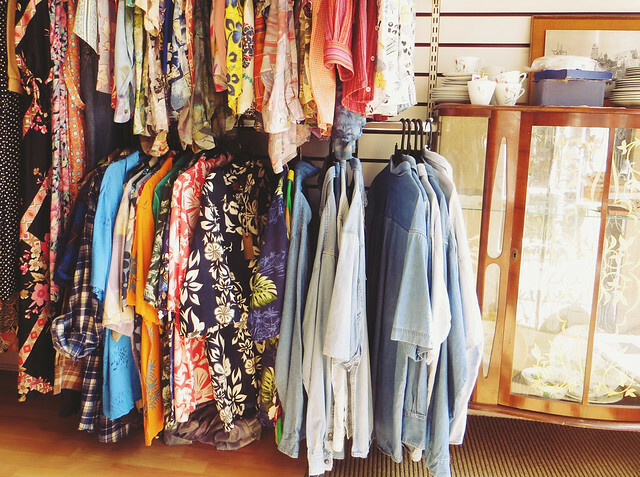 I'm really diggin' those vintage shops! My cousin lives in Bristol! I love checking out the quirky places with her and graffiti - this post really makes me wish I was there right now! 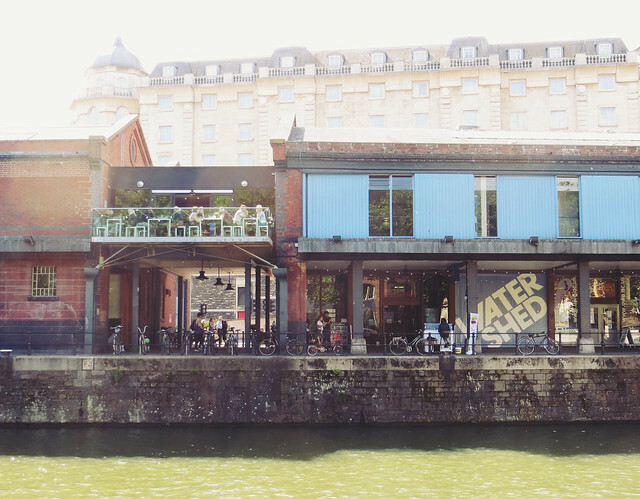 We should totally hang out in Bristol sometime! I loved this post Lyzie! 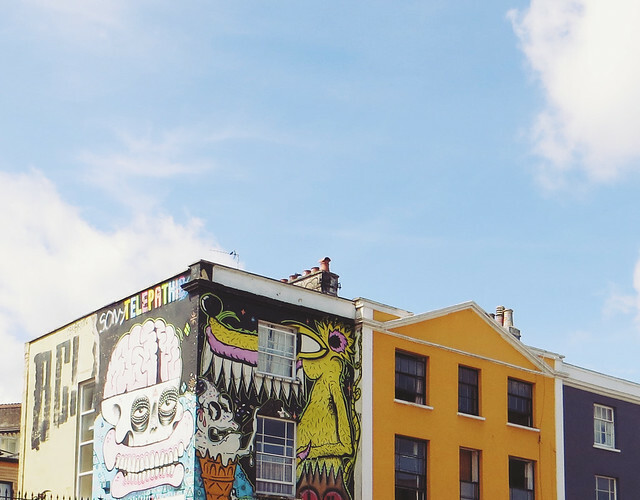 Bristol looks like such a fun and cool City! I really want to visit! Great post! I've never been to Britstol but would like to someday! 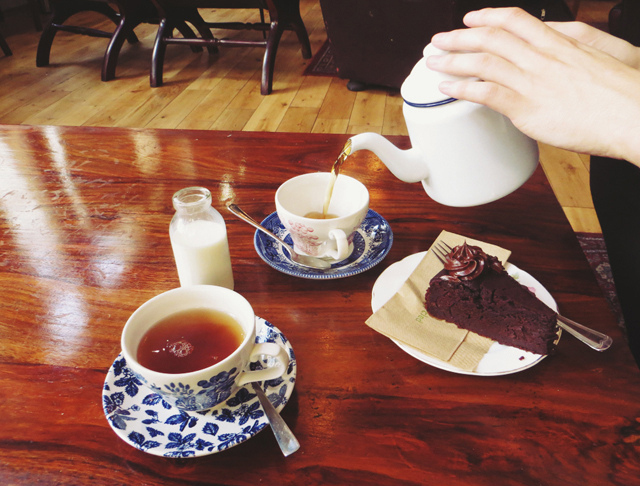 devon cream teas by post. i like mine #totesbig ! 3 songs I can't stop listening to. 5, 10 & 15 min makeovers | clarins.